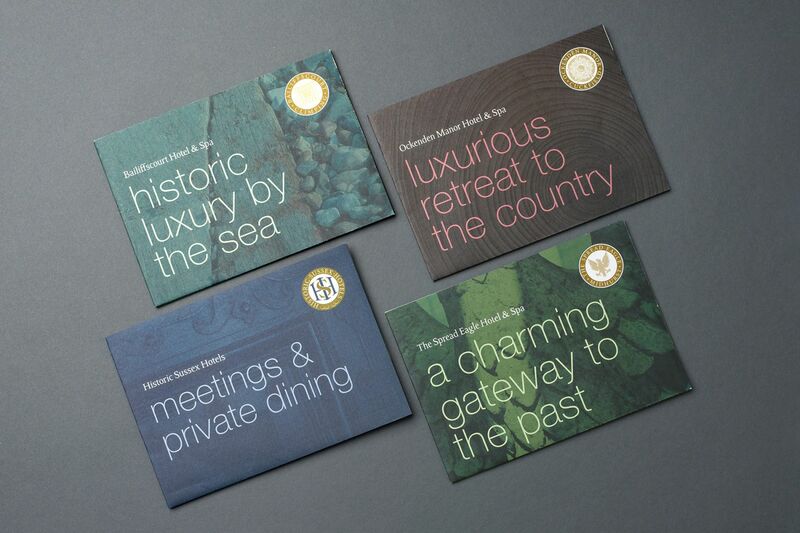 Historic Sussex Hotels were creating large and expensive brochures for their hotels. Often these projects would take far too long to complete and typically, by the time the first box is received ‘off the press’ it’s outdated as, invariably, a bedroom will have been upgraded, new menus will have developed, and team members changed. 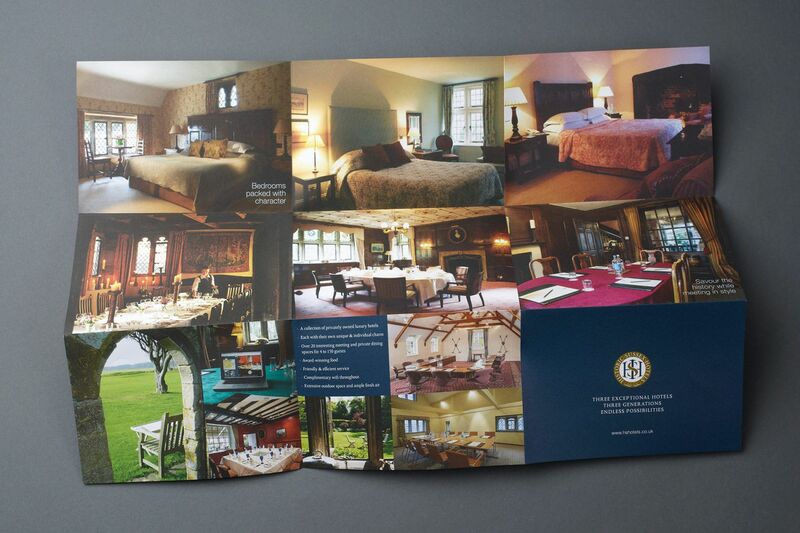 The cost of producing a luxury hotel brochure, including production, can be close to £10 each, depending on the quantity produced. Standout however, had a different take on the luxury brochure. 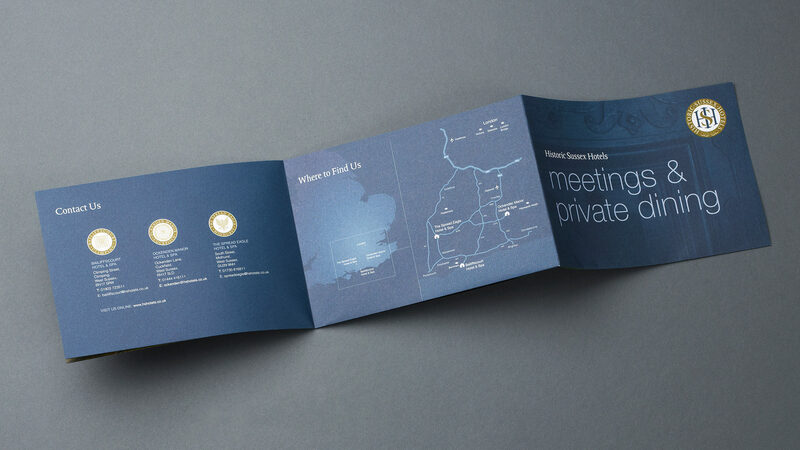 Our solution was to split the properties and produce a separate brochure for each, plus secondary brochures for individual products such as corporate / meetings. 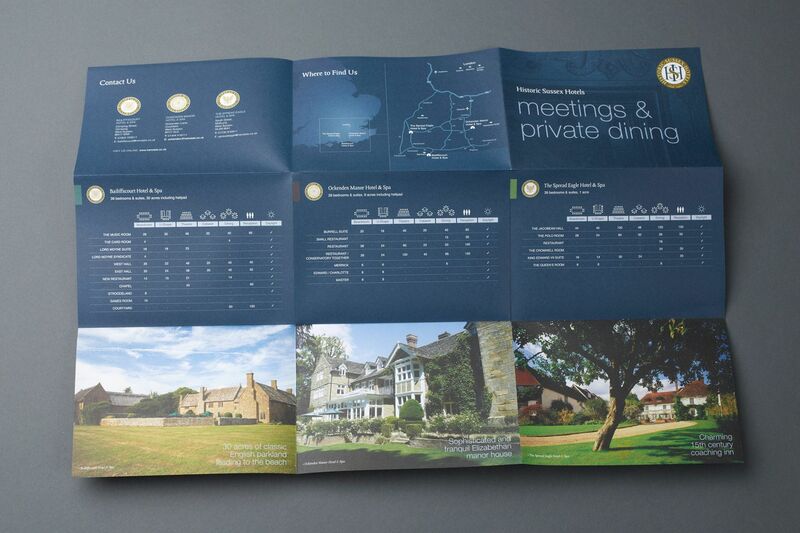 We felt that the imagery was the most important tool in selling the hotels and restaurants, so we created very simple A2 folded brochures produced on a very lovely stock. The material felt quite fibrous but we were able to ensure that the colours remained ‘punchy’. The end result is a set of contemporary literature that communicates only the key messages and presents a large and impressive portfolio of photography. And the cost? 11 pence per brochure. We love great creative but more than that, we love great results – effectiveness. Our aim is to provide competitor advantage and shareholder value at all times. Increasing the bottom line is not just about sales and revenue generation – it’s also about saving cost and only spending when you need to. That’s what we love about these brochures.